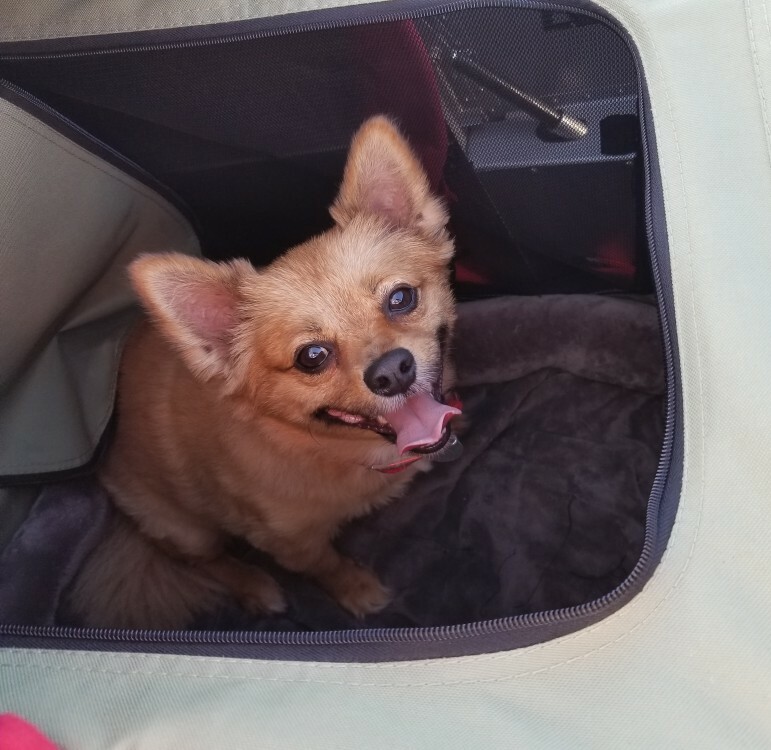 Teddy is a rather portly Pomeranian mix that was surrendered to Wilson County, TN Animal Control by his elderly and ailing owners, and he needed to get to Searcy, AR to the Recycled Pomeranians and Schipperkes Rescue. Just my type of mission. Fly over to Lebanon, TN and then take him to Searcy, AR and get home by 11:30 AM. The poor boy was so nervous, his life having been turned upside down, but he was well behaved and a good passenger. One more pup saved and a great day of flying to boot! This entry was posted in Pilots N Paws on August 29, 2018 by Mark Dickens. 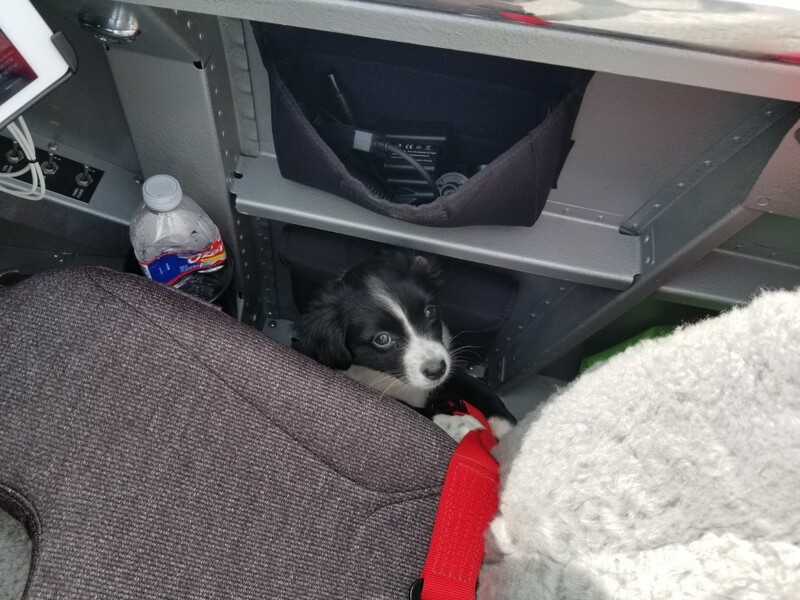 More Puppies on a Plane! I really love flying dogs (and cats when I get the chance) out of harms way. My RV-8 is not an ideal dog hauler and I have to be careful with the commitments I make to Pilots N Paws because of this. 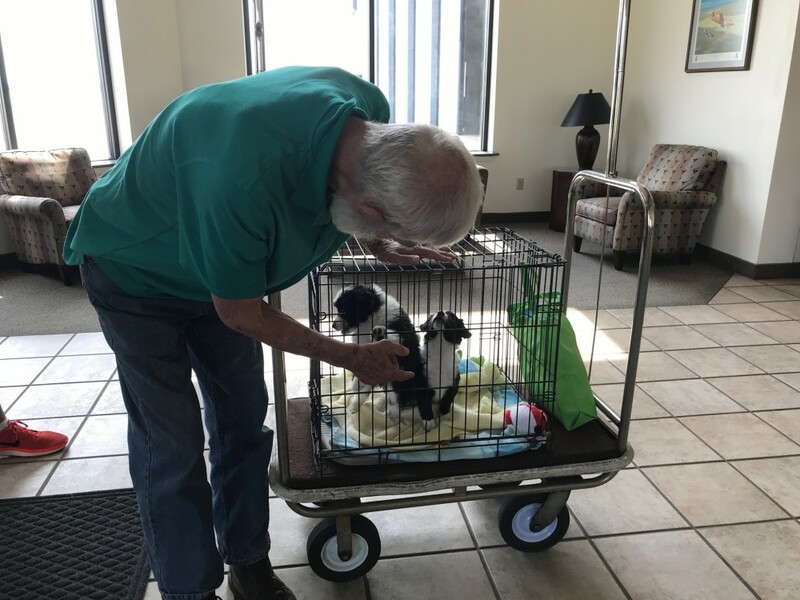 Recently, I volunteered to help fly two small Australian Shepherd puppies from Decatur, AL (DCU) to the Spirit of St Louis Airport (SUS). The puppies were small and their weight was no problem. The crate that was going to be used would fit (I thought) fine in the baggage area of my plane. 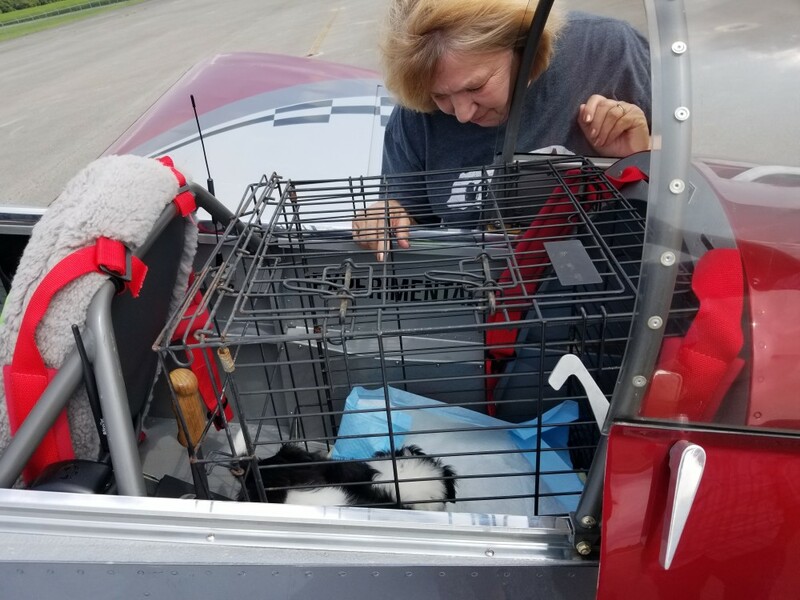 When I arrived at the Decatur airport and attempted to put the crate in the plane, I learned that just because the crate will fit in the baggage area, getting it into the baggage area may be another challenge. 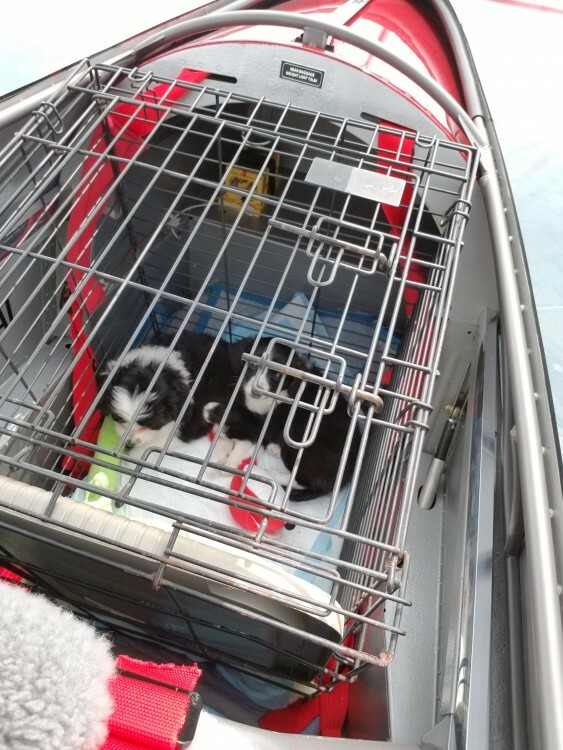 We could not maneuver it such that it could be laid flat, so our only option was to set the crate up vertically and set the puppies on what would normally be the side of the crate. Brilliant! Right? Well, not really because the bottom of these crates do not have the grid spacing that the top and the sides do. I did not notice that. As you can see in the photo above, the grids on the bottom are about 5″ square, plenty for little puppies to squirm through. We stowed everything away, said our goodbyes and I fired up, and taxied toward the runway. As I am just about to pull onto the runway, I suddenly have two puppies trying to climb into my lap! I’m like, what the….! Then I start laughing when I realize what happened. They both immediately found a nest in the foot wells and looked at me, as if to say, “can we stay here with you?”. I briefly thought about letting them stay up front with me and then quickly decided that wasn’t such a good idea. So, I shut the engine down and put the plastic floor of the crate back in the crate, re-loaded the dogs, took off and got them to SUS in great shape. I handed them off to another PNP pilot who put them in his Saratoga and took them to their final destination of Galesburg, IL. Another mission accomplished, and some lessons learned about what will fit in this plane. 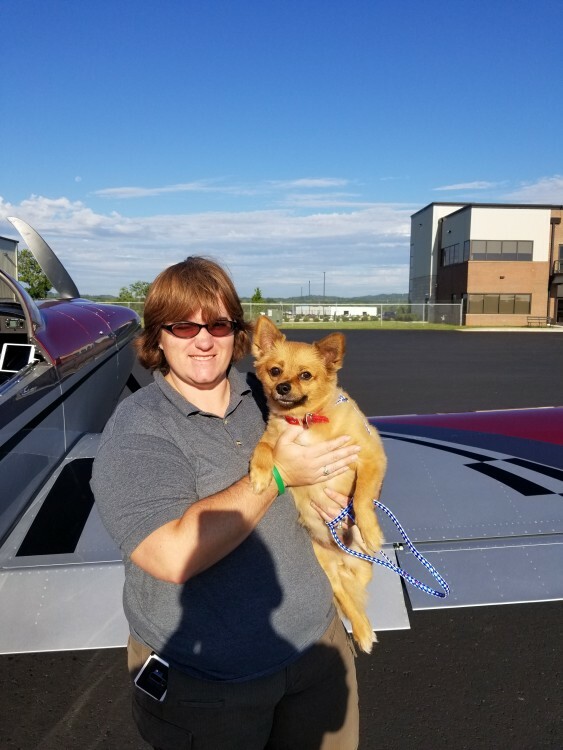 This entry was posted in Pilots N Paws on August 21, 2018 by Mark Dickens.